Lupita’s character has a name and a bunch of photos from Vanity Fair! 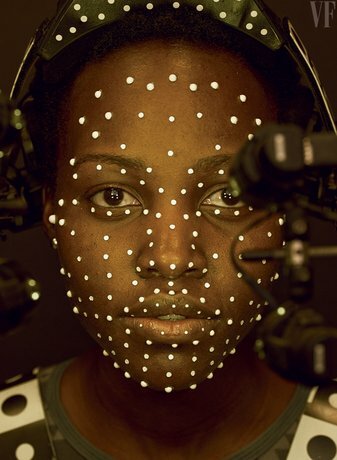 Lupita Nyong’o’s C.G.I. character, Maz Kanata, is on, we do know from the caption on this eye-popping rogue’s gallery photo that she’s a pirate. If you read this site enough you know Maz being a pirate isn’t exactly the full story and there’s a lot more going on there than that. I love the look of this film and what we’re seeing right now.